Can I Sue a Cruise Line for an Injury? Is that buffet food coming back out the wrong way? Did you slip and fall on the pool deck? Did the swaying of the boat cause a beer bottle to fall from the upper deck onto your head? If you're injured while on a cruise, can you sue the cruise line? 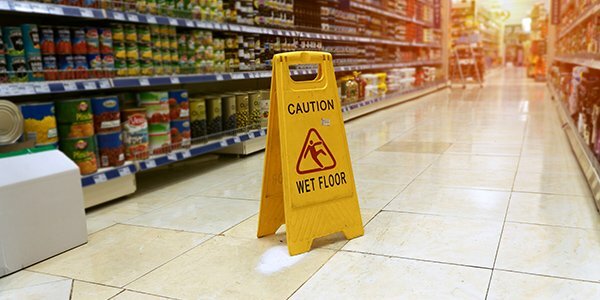 Slip and fall, drowning, and food poisoning and norovirus are all common injuries on a cruise ship. Most lawsuits against a cruise ship will likely claim negligence. To win a negligence lawsuit, you must be able to show that the cruise ship had a duty to care for you; it breached that duty; and the breach caused you injury and damage. Under the Kermarec rule, created by the U.S. Supreme Court in Kermarec v. Compagnie Generale, cruise lines have a duty to provide passengers with reasonable care. So, the cruise does have a duty to care for you. This duty usually requires the cruise to take reasonable steps to protect you, such as properly refrigerating and preparing food to prevent food poisoning, or laying out mats in pool areas to prevent slipping and falling. If the cruise failed to take such reasonable precautions, then it breached its duty of care. You will then have to show that the breach of duty was a direct cause of your injury. Did you fall because the cruise didn't lay out mats to prevent slipping? Or, did you fall because you were inebriated and running around on the deck despite instructions from crew members not to do so? Unless the cruise ship's negligence was at least a contributing factor in your injury, you won't be able to win any damages in your suit against it. Before you do file your lawsuit in court, be sure to read the fine print on your ticket first. Some cruises may set out in their Terms and Conditions requirements for suing. For example, you may have to take certain steps such as providing written notice of injury and bringing a claim within a specific period of time before suing. Other terms could require you to sue in a specific jurisdiction or require arbitration instead of a court trial. If you've been injured on a cruise ship, consult with an experienced personal injury attorney for help.